We are leading manufacturers of a wide range of Immersion Heaters. These heaters are designed and manufactured in highly appreciated for its large surface area. Our range of products includes commercial water immersion heaters, immersion heaters for hot water generator, plain electric immersion heaters, industrial immersion heaters, standard immersion heaters and electric immersion heaters. Suitable for heating Oil, Water Machines,Water geysers,Hot Water Chemical Tanks Cookers etc. We are engaged in offering a wide variety of Electric Immersion Heaters. Engineered with precision to meet requirements of clients, these products are known for sturdy designing and strength that it holds. Our products are offered in straight length and can also be customized according to client’s specifications. Furthermore, offered heaters can be availed at market leading rates. 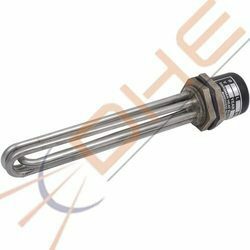 We are leading manufacturer and supplier offer Oil Immersion Heaters. We are engaged in offering a wide variety of Thermic Fluid Heater. Engineered with precision to meet requirements of clients, these products are known for sturdy designing and strength that it holds. Our products are offered in straight length and can also be customized according to client’s specifications. 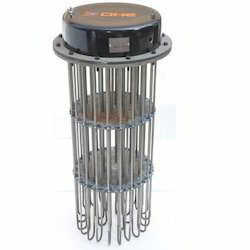 We are leading manufacturer and supplier of Flanged Heater.